One of the eight inmates scheduled to be executed this month in Arkansas has been given a temporary reprieve, but the state still intends to execute the others before its lethal injection drugs are set to expire, despite protests from activists. There are 35 inmates currently awaiting execution in the state, which has not carried out the death penalty since 2005 due to disputes over drugs used in the lethal injection procedure. Governor Asa Hutchinson has ordered that eight executions be carried out before one of the drugs expires at the end of April. On Thursday, a federal judge blocked the execution of Jason McGehee, saying that the state needed to allow a 30-day comment period on his clemency application. A parole board has recommended clemency for McGeehee, now 40, sentenced to death for the 1996 torture murder of a teenager. US District Judge D. Price Marshall Jr. said he might also rule in favor of inmate Jack Jones, if the parole board recommends clemency for him at a hearing Friday. The board has heard clemency appeals from four other inmates, but decided against them. Marshall ruled that their executions should proceed as scheduled. "The victims' families have waited far too long to see justice for their loved ones, and today's decision from Judge Marshall allows all but one of the scheduled executions to move forward," a spokesman for Attorney General Leslie Rutledge said in a statement. Meanwhile, federal public defenders filed a motion in Lincoln County Circuit Court arguing that one of the condemned, Bruce Ward, is severely mentally ill and cannot be executed under a federal standard barring cruel and unusual punishment. Ward is scheduled to be executed on April 17, the same day as Don Davis. Ledelle Lee and Stacey Johnson would face the executioner on April 20, Marcell Williams and Jack Jones, Jr. would be executed on April 24 and Kenneth Williams on April 27. 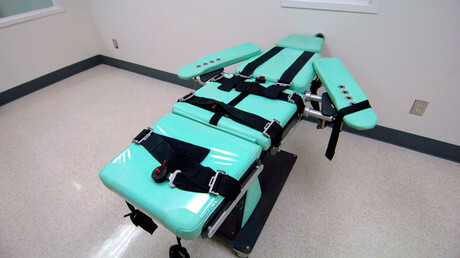 McGehee was scheduled for April 27 as well, but the judge’s decision will delay his execution until May – after one of the drugs used in lethal injection cocktails officially expires. "This planned mass execution is grotesque,” the Arkansas Coalition to Abolish the Death Penalty said in a statement quoted by UPI. The schedule has created another difficulty for the state: finding enough qualified witnesses. Arkansas law requires that the prison director have no fewer than six and no more than 12 witnesses for each execution.A volunteer witness must be at least 21 years old, an Arkansas resident, have no felony criminal history and have no connection to the inmate or to the victim. Also at issue is the state’s use of midazolam, a sedative administered as part of the three-drug cocktail. 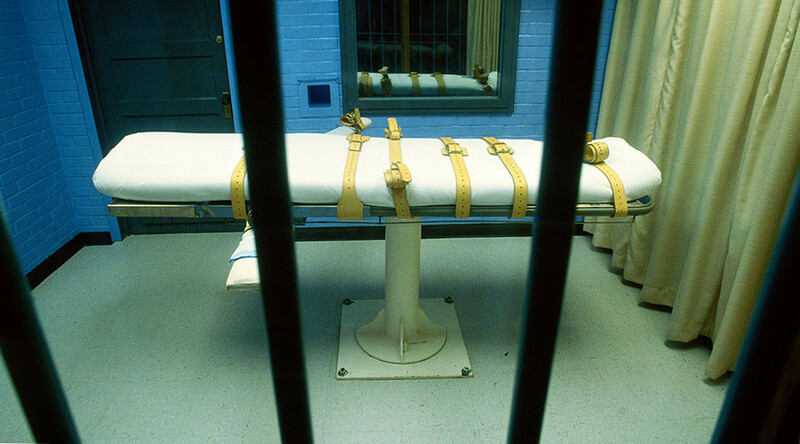 Attorneys for nine death row inmates challenged the drug’s use, arguing that in some cases it would fail to sedate the inmate properly and lead to “cruel and unusual” executions, thus violating the Eighth Amendment of the US Constitution. However, the US Supreme Court ruled in 2015 that the use of midazolam did not amount to “cruel and unusual” punishment. Obtaining and stocking the lethal cocktail has been a challenge to many states that still administer capital punishment. European laws effectively forbid the sale of drugs for execution purposes, and many US companies outright refuse to sell the chemicals as well. Many states have resorted to having the pharmacists mix the ingredients themselves, but the pharmacological societies have taken a stand against the practice.